Whether you run a boutique firm or a large, publicly traded corporation, we've got a communication solution to unify your employees, customers and stakeholders. From our IP phones and digital phones to our market-leading cordless solution, you'll find advanced features to connect your company like never before. 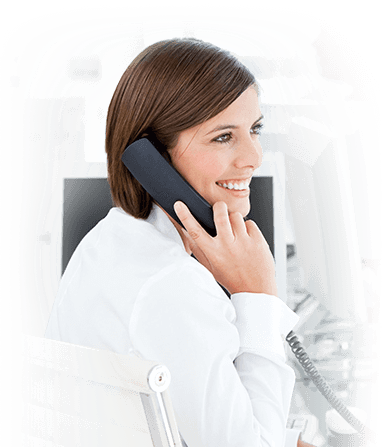 Our advanced IP phones provide businesses with unmatched communication performance, options and flexibility. Featuring wideband HD audio to produce true "in person" quality sound, up to 2 Gigabit Ethernet, Power Over Ethernet (PoE) connections and a remarkably easy interface to deliver maximum performance. 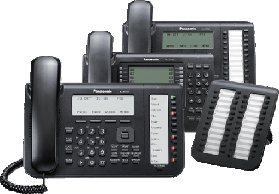 In fact, with quick and easy access to a host of powerful, supportive features and applications, Panasonic IP phones offer an unprecedented range of options to suit your business needs. 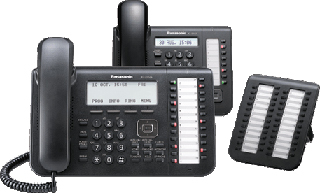 Take your communication to the next dimension with IP phones from Panasonic. We've earned a reputation for engineering the best audio performance in the world for businesses just like yours. connect companies like never before. Panasonic digital phones boast a user-friendly interface and powerful support features for a long life of superior performance. Intuitive and reliable, our digital phones keep your business connected and communicating at peak performance levels. Programmable keys, a full duplex hands-free speakerphone mode, integrated headset support and a large, easy-to-read LCD screen with state of the art functions are just a few of the advanced features that can give your business a powerful productivity boost. General Office Machines Company has been serving the office machines needs of the Kern County area for over 60 years. Our professional staff will work to find the very best solution to your office equipment needs. From expert maintenance and repair to friendly consultation and advice, we're just a phone call away. We are constantly looking for ways to improve our services to reach your satisfaction. We would appreciate any thoughts or advice you may have regarding our services. Please feel free to leave us a message via the web site by clicking "Contact Us".